About a month ago I got the chance to play a few concerts in Los Angeles. It was the first time I hopped on a plane with my guitar and traveled abroad to promote an album. The concerts were very different from what I would imagine a major label artist’s ‘world tour’ to be like but they were great nonetheless, and made me feel as though I am on the right track as an artist, working hard to independently get my music out there using the internet and live shows. 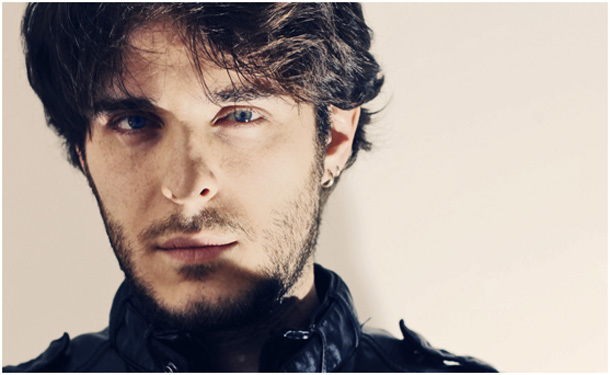 I booked everything myself and traveled in the company of my friend and producer of my latest album In a Minute, Luis Venturin. I’d like to take this opportunity to thank Luis, as well as David Ramiro, a Brazilian friend who was on vacation in LA, and Patrick Berry, a friend from Florida who traveled cross-country to watch us perform and ended up as part of the crew for a night. As soon as I arrived, my first stop was at the Bogner Amplification, where I met Felipe Raposo, Bogner’s Brazilian distributor, and Jorg Dorschner, one of the founders of Bogner Amplification. I had spoken to them before about playing a Bogner amp at my concerts, (I am a big fan of their Duende amp model), and these guys were just great. They provided me with amps for the shows and I even brought home a Bogner Duende of my own. 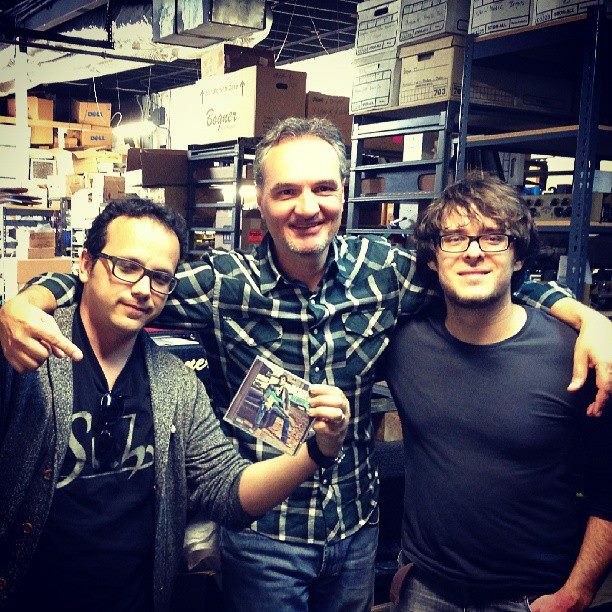 Felipe Raposo, Jorg Dorschner and Marcel Ziul at the Bogner Amplifier Factory in Hollywood, CA. My next stop was to meet my US-band, which was put together by Luis and myself. Brazilian drummer Sandro Feliciano, who has been living and working in LA for over 11 years hooked me up with Lineu Andrade, a multi-instrumentalist who did an excellent job on bass. As soon as I arrived at the first rehearsal, I found that they had both done their homework and learned my songs extremely well. That didn’t keep us from having a six-hour rehearsal at the end of which the band sounded great. Our first gig was at the renowned Whisky-A-Go-Go in Hollywood. We had a great set and the crowd really responded to the heavier, guitar driven songs such as “Afraid of Loving You,” (the track that is featured Blues Rock Review Album Sampler Vol. 3). We also got to watch a couple of pretty cool bands play that same night. After a couple of days off we played a small club in Santa Monica called the Trip, where I felt right at home. There were several musicians in the crowd, and everyone really seemed to like the songs. “Confusion” and other jazzier tunes were the ones people enjoyed the most there. Our final show was at Skinny’s Lounge, also in Hollywood. We played a nice set and some fellow Brazilian musicians who were performing in LA were in the crowd. We had an early flight the very next day, and by Friday, I was on stage in São Paulo, Brazil. I had a lot of fun and learned a great deal from this experience. Nothing beats getting your music out to people personally, and performing live – especially when you play for new crowds in towns you’ve never been to. Thanks to everyone who made these shows possible!